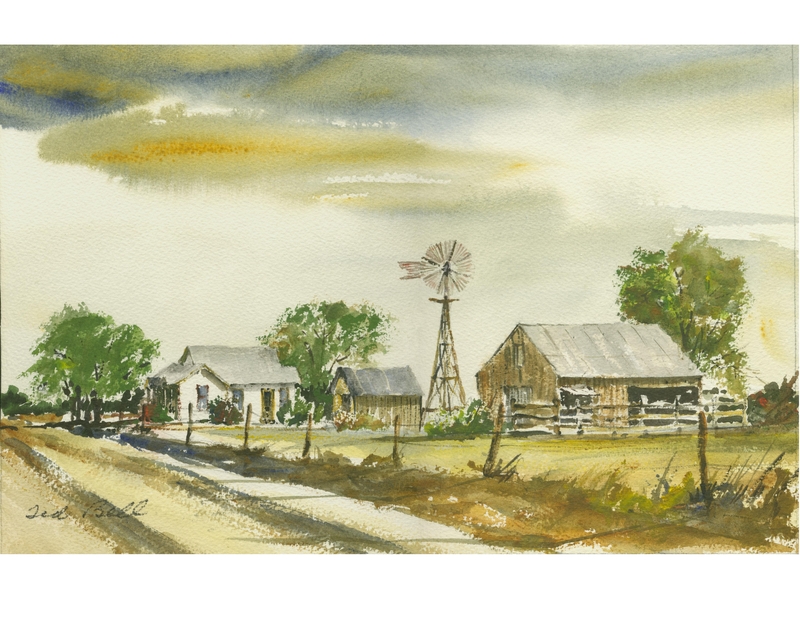 The watercolor was painted by Ted Bell in July 1977. My great-grandparents, Herman Cunningham and Annie Jennings Cunningham, bought this house in 1936 and lived in it until they both passed away in the 1980’s. This painting of the house is exactly like I remember it. The windmill was one of our favorite playgrounds. We used to climb it, which was probably dangerous. You can see a tree between the house and what I think was a small barn or shed. There was a knothole in that tree. My great-grandfather used to whittle and carve out of nut seeds and fruit pits—little owls, little baskets. He had hidden one of his owls in the knothole of that tree. He called me over to show it to me, and I remember being filled with wonder. I also remember feeling very special. I didn’t see my great-grandparents much, and when I did, it seemed there were always so many people that a moment of attention from my great-grandfather, whom we called Pa Pa, felt very special. The tree in the front of the house near the road had low-hanging branches that were perfect for climbing. The barn had brand new kittens inside it, and the whole farm was littered with Pa Pa’s Prince Albert Tobacco cans. 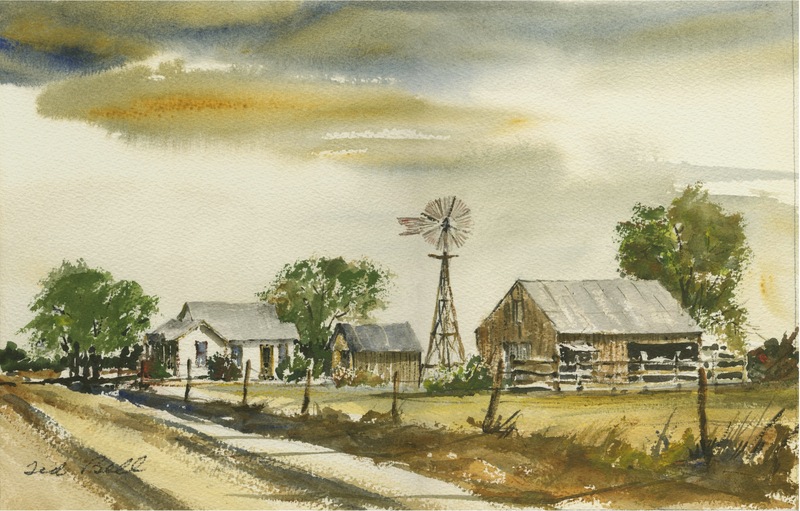 It was amazing to be able to see it again in this watercolor. I’m so glad it exists.